It is almost becoming easier for the many international doctoral candidates such as those who migrate to Sweden from India and other countries to work and live there after their graduation. It was anticipated that by the start of July 2014, doctoral candidates would be able to secure permanent residence in Sweden as long as they had a study permit in Sweden for four out of the last seven years. Also, these international students would be allowed to stay in Sweden for a considerable amount of time to look for employment opportunities or establish their companies once they graduate. By 2013, it was estimated that the number of international Ph.D. students in Sweden was 5,000. The new legislation was seen as positive and should boost the competitiveness of Sweden significantly. Furthermore, before 2011, Sweden was identified as one of the countries in the world to allow free tuition to all the international students. 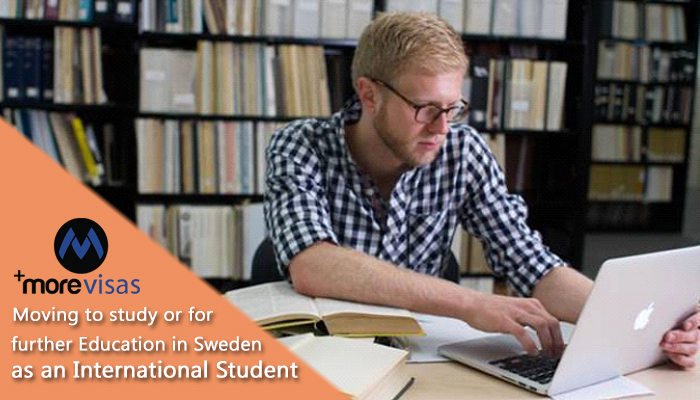 With the presence of highly-rated higher education institutions and a healthy environment for studying, Sweden stands out as a very attractive destination. The action of easing the restrictive work and policies on immigration will only spur student’s enrolments from the non-EU areas. In 2014, the number of students who applied to Swedish universities rose for the seventh year running. During the higher education ranking by the times, only one Swedish institution was ranked in the top 100. According to the 2014 universities ranking of the national higher education systems, Sweden was rated second. The leading country in this category was the United States of America. Apart from opening up increased work and job opportunities for international students, the Swedish government is currently looking to expand its investment in language training for international students to be able to understand the Swedish language. The government proposes to increase its spending on training students in the Swedish language by investing approximately 2 billion Kronor. This is expected to increase the number of teaching positions in the learning institutions as well as significantly boost the language training capacity of Sweden. Nonetheless, by 2016, international students who migrate to Sweden from India still require a work permit to earn a living. So as to obtain a work permit, one must hold a valid passport from the respective home country. One is also required to an official letter of employment from the Swedish employer. For the international students who have a residence permit, they are allowed to work as they pursue their studies. My brother want to go to USA for study so please give me reply what is the process of apply to visa and how many days after will receive visa…???? please tell all process starting to end. What is the process of apply to study visa for USA. also i want to go to USA for study. Morevisas given always precious information.. This information valuable for my sister because my sister thinking study abroad. Sweden is amazing many places.I was go to Sweden with my family at last year. I had got Sweden visa from morevisas consultancy.Thank you morevisas for given me visa.